lown, actor, director and educator. Heinzi Lorenzen is a clown, actor, director and educator. 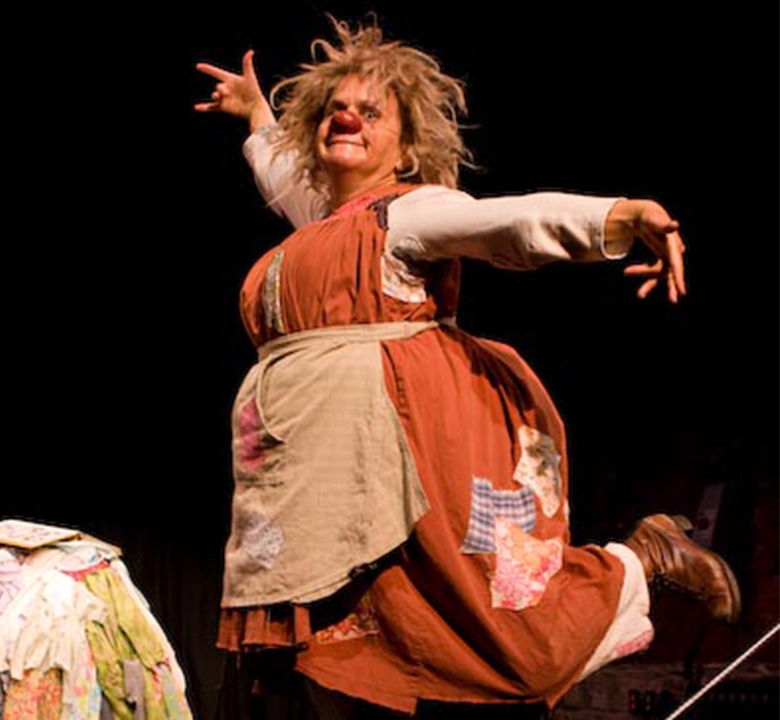 Brought to the clown by Jacques Lecoq, Alain Mollot and Pierre Byland, he then toured the world with Footsbarn Traveling Theater Company from 1992 to 1999. 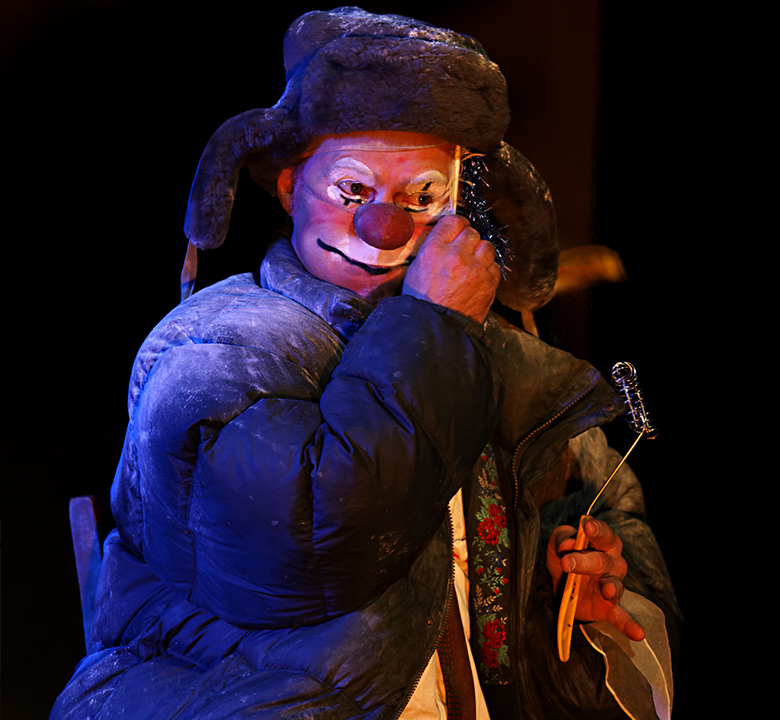 His clown, Fritz, is a preoccupied clown, cruel and tender at the same time. It seems to come from another time, a time when one could give life to an object only by the strength of his imagination. In his solo "Kluntet", Fritz invites himself to his own birthday. For him it is the date of the center of history. Drunkenness gradually takes over the clown. He summons all his family and gives life to each of them. The party is skidding. The horrors he tells escape him, and in the end he reveals his secret. It is a theater that overflows everywhere, a confession in the form of a joke, something crazy, animal. It's creaky, it's jubilant. Gardi Hutter is Swiss and graduated from the Academy of Dramatic Art in Zurich. JEANNE, the clown character of all her shows, is a player. She plays with existence, with her great worries, with her fights. Her tragicomic stories - without words, but full of grammar - are metaphors for the hopeless struggle of an absurd, malignant, clumsy, furious, touching and poetic woman. In each show she creates a different but always absurd universe, in which she fights, at the Donna Quijotte, new windmills. It fails every time - but always with grandeur and panache. In "La couturière", her first solo, it's the set of a seamstress table that becomes her new universe. A glance through the hole of a buttonhole is enough: the thread of its history unfolds around rolls of fabrics. With these huge scissors, it does not go dead hand and does not in the lace, sparing neither wickedness nor misfortune. Sewing dummies continue their rounds. The abyss opens in the sewing box. With all these reels, fate can very well lose the thread. The wheel of fate is also part of Jeanne's sewing workshop. It revolves around the finitude of the being and the infinity of the game. With the art of the clown, timeless. Seen in Esch-sur-Alzette (Grand Duchy of Luxembourg) at the end of May 2014.